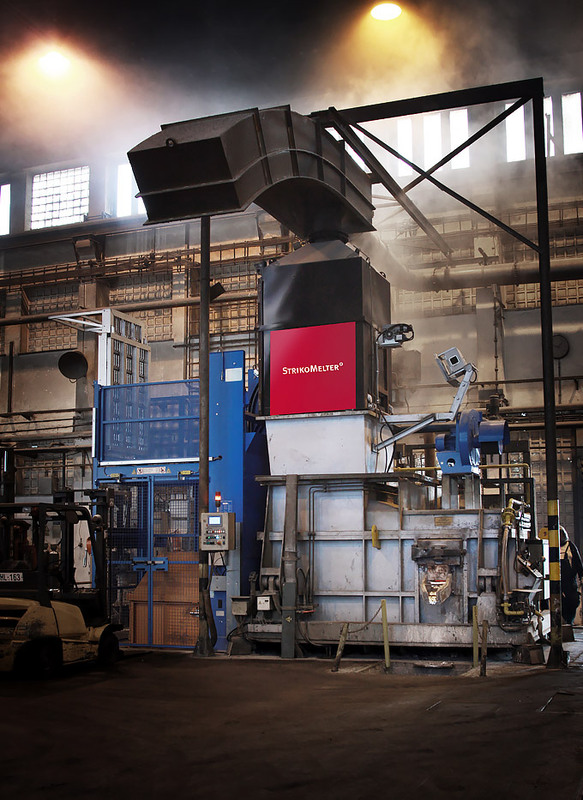 The modernization of existing melting furnaces pays off quickly: foundry and processor of car parts „Česká zbrojovka“ from Southern Bohemia recently had the opportunity to experience this for itself. In cooperation with StrikoWestofen, the expert for melting and dosing furnaces as well as heat treatment units from Gummersbach in Germany, the renowned company realized a comprehensive modernization project. So, the StrikoMelter shaft melting furnace from 1998 has been put on a par with the state of the art. The results in terms of energy consumption (-20%) and melting performance (+40%) have exceeded the expectations by far. The investment paid off in the first year. 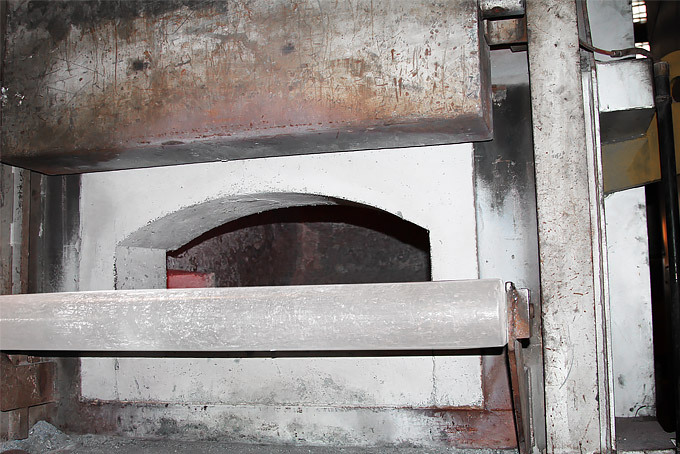 Even after 17 years of use, the foundry Česká zbrojovka from Strakonice in the Czech Republic still saw its StrikoMelter as a reliable partner. Therefore, it was not to be replaced but modernized instead. The company relied on the know-how of StrikoWestofen here. The main purpose of the project was to increase productivity and energy efficiency in order to reduce principal costs. The focus here was on the heart of the furnace, the lining: depending on the operational demands and the wear, relining is unavoidable in the system’s lifecycle. The flow guidance and with it the structure of the lining are crucial for the energy efficiency of any melting furnace. This is why StrikoWestofen focuses in particular on the geometry of the lining and the materials used. Relining at Česká zbrojovka was also performed according to the latest technical knowledge and allowed significant energy savings to be realized while increasing the melting performance. So the relining paid for itself within a short time. To ensure that customers suffer no downtimes during the modernization, StrikoWestofen offers a special service: depending on the requirements, it is possible to lease melting capacities. However, as the downtime was scheduled beforehand, that was not necessary in the case of Česká zbrojovka. In the course of the modernization, the company also decided to retrofit a shaft filling level laser. This allows the charging cycles to be optimized so that the shaft has an optimal filling level at all times. Thereby, the ETAMax principle of integrated heat recovery can unfold its full effect. Through the intelligent utilization of the waste heat in the melting shaft, fuel consumption and metal loss are considerably lower than they are with comparable technologies to be found on the market. At the same time, the experts from StrikoWestofen installed a new charging unit. Besides increasing the operational reliability, this also makes a considerable contribution to the efficiency and performance of the system. The aim was for the upgrade to reduce the energy consumption to 670 kWh/t. The actual result exceeded the expectations, however: after modernization, an energy consumption of only 520 KWh/t was measured, i.e. only approx. 52 m3 of natural gas per tonne of molten aluminium. Also, it was possible to increase the melting performance by 40% - from one tonne per hour to about 1.4 tonnes. “We didn’t think it was possible. Also, thanks to the smooth handling, we had next to no downtimes and were able to take the furnace back into operation after a short time,” says Petr Havelec, the director of the metallurgy division at Česká zbrojovka. Now the modernized furnace can match the performance of a comparable new installation.